Where is the location of the Chamber of Queen Araneae? In order to find it you must go back to Wortham town end exit through the north entrance. If you follow the road you will reach the Caverns of Araneae. 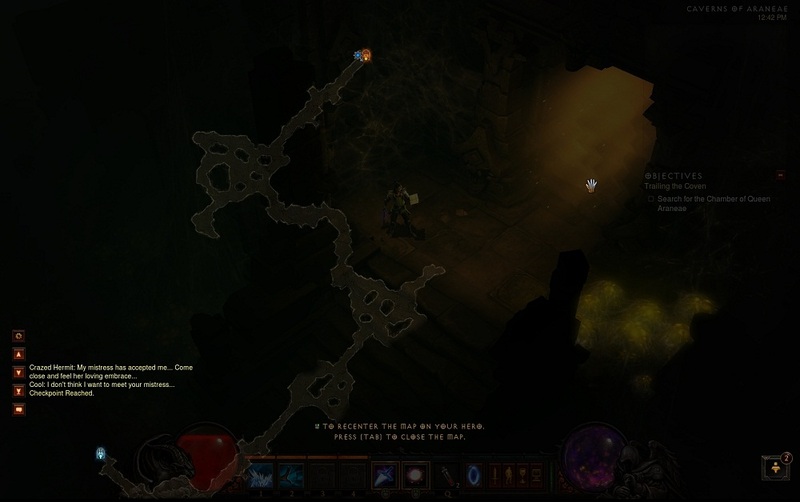 The chamber can be found inside the caverns, you just need to search for it. I will post bellow two screenshots that will help you find the entrance. After you go inside and talk to the girl, be careful not to stay in that spot where she is trapped because the Queen might surround you and you can if you don't have good gear you good defensive skills active at that time. 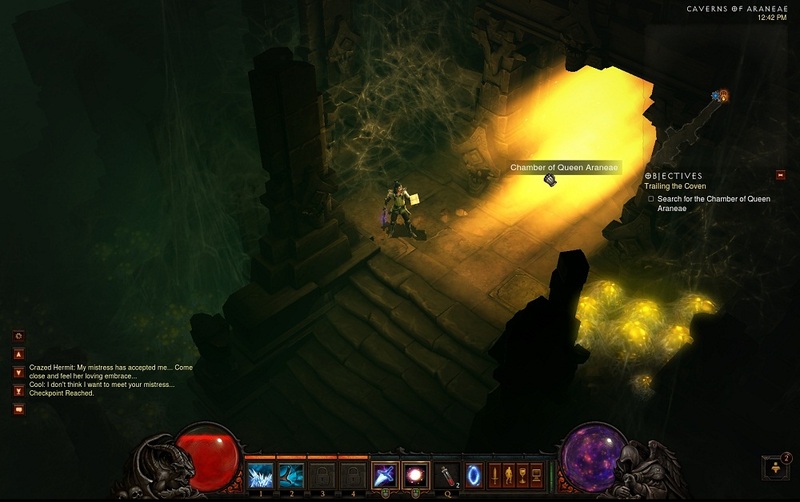 The fight with Queen Araneae is easy on the normal difficulty of Diablo 3. By the way, I really like the architecture of this area. I can't imagine how hard it will get here on Hell and Inferno modes.